London, June 17th 2013 – SaveMoneyCutCarbon, the full-service efficiency partner to organisations who want to reduce energy, water and carbon to improve sustainability, has delivered massive savings in water bills to Puma Hotels’ Collection across its UK properties. 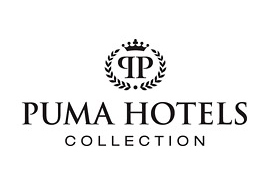 The 21 hotels within the Puma Hotels’ Collection have seen savings that SaveMoneyCutCarbon’s solutions promised in both water and energy costs and means that its daily contribution to climate protection begins every time their guests steps under the shower. These savings were delivered through SaveMoneyCutCarbon providing an end-toend solution. The process started at the end of last year where each hotel was visited by one of the SaveMoneyCutCarbon surveyors. The visit enable them to establish existing flow rates across showers and hand basins in guest rooms, leisure clubs and public areas. Armed with this detailed information, UK services team plugged the data into a sophisticated financial modelling tool which in turn demonstrated where savings could be made by retro fitting EcoSmart water-saving technology, adjusting flow rates to optimum levels without effecting guest satisfaction. This was then overlaid with other key details that have an impact on real savings and paybacks such as occupancy, usage assumptions and local utility prices. The final result was a clear picture for Puma’s senior management showing exactly what products need to be replaced and, equally important, where no action was needed. With clear savings both in water, waste and the energy used to heat the water and assured carbon reductions, an investment decision could be made, based on clear payback in under 12 months. SaveMoneyCutCarbon is one of the leading supply partners of global manufacturer Hansgrohe and offers that company’s full range of products, with EcoSmart water saving technology providing a luxury shower experience but at optimum flow rates. Puma Hotels decided to use the savings to standardise on a range of shower heads from Hansgrohe to also enhance their bathrooms, giving a fresh and modern look. Identifying the opportunity, specifying the right EcoSmart product, demonstrating savings and showing the payback was just the first part of the project. As Mark Sait director of SaveMoneyCutCarbon explains, there are impressive savings available, but nothing is saved if the product is delivered and then is not installed properly – if at all. “This is where the SaveMoneyCutCarbon field service team can add another level of service, delivering to site and project managing the install, reporting back to Puma management when each hotel is complete, so measurement of savings can commence. SaveMoneyCutCarbon also further reduced the hotel group’s carbon footprint by sourcing and delivering the shower heads directly to each hotel, using its own greenaware distribution system, rather than other carbon-intensive carriers in the UK. SaveMoneyCutCarbon worked closely with each hotel’s respective maintenance teams to demonstrate and guide the installation process and, in several cases, had to source bespoke manufacturing solutions to meet some of the more complex plumbing and fitting challenges before completing the installation process. SaveMoneyCutCarbon is now working with the hotel group in moving to the second phase with a focus on saving money and reducing energy costs while cutting carbon in other areas with high water use – the hotel gyms and leisure clubs – as well as new focuses on heating and ventilation and boiler management. “We found that some hotel showers in the Puma Hotel guest rooms were running at in excess of 20 litres per minute. The Hansgrohe EcoSmart shower head, which we have thoroughly tested, ensures a minimum of 50 per cent less water use, with no effect on the shower experience. It is also guaranteed for five years, which gives large groups like Puma Hotels’ Collection additional peace of mind. The average tap flow across the Puma estate was 18 litres per minute and we have reduced this to 5 litres per minute. SaveMoneyCutCarbon is uniquely positioned as a full-service efficiency partner to organisations and homes who want to reduce energy, water and carbon to improve sustainability. Clients include major hospitality groups, property ownership groups, distribution centres, theme parks and corporate offices as well as SMEs and private residences. The SaveMoneyCutCarbon.com website is the market-leading portal for advice and products to reduce costs across all main areas of consumption: lighting, water, heating / ventilation and boilers. Our UK-wide field services team supports larger and more complex business needs by providing full consultancy and installation services, backed by expert knowledge and first-class customer service. We also offer a wide range of consultancy services that help companies achieve their sustainability goals within Corporate Social Responsibility strategies. Privately held since 2008, SaveMoneyCutCarbon is setting new standards for a holistic approach to energy and water management and we share our successes through a variety of charitable initiatives, including support for rainforests in Peru and Ecuador.